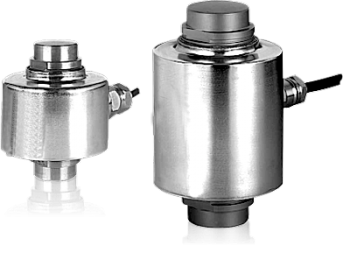 The stainless steel compression Load Cell SM63 is available in capacities from 7.5 T up to 300T and accuracy classes from GP to C4. The load cell body is hermetically sealed by welding and there is glass to metal seal in the cable entry. This ensure moisture cannot enter the load cell via the cable and it also makes it possible to exchange the cable if for instance a different length is required or it has to be replaced due to damage. The hermetic sealing to IP68 combined with its approval to OIML R60 4000D means that the SM63 load cell can provide extremely accurate reproducible results, over a long term even in harsh industrial environments. To prevent damage due to static electricity and lightning you can order optional integrated surge protectors. The SM63 load cell can be supplied with an optional ATEX II 1GD EEx ia IIC T6 certificate for use in hazardous gas and dust areas – Zone 0,1, 2 & Zone 20, 21, 22.